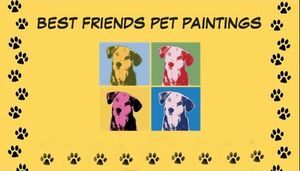 WELCOME TO BEST FRIENDS PET PAINTINGS. THANK YOU FOR VISITING. MILLIONS OF US IN THE WORLD HAVE PETS WHOM WE ADORE AND THEY'RE OUR BEST FRIENDS. 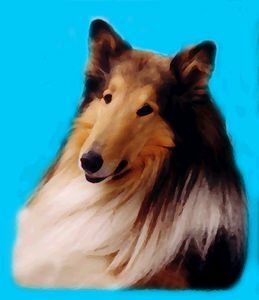 I AM HERE TO CAPTURE, PRODUCE OR COMMEMORATE YOUR (OR YOUR LOVED ONES') PETS IN A REALISTIC PAINTING ON WOOD MOUNTED CANVAS THAT WILL LAST FOREVER. IN RENAISSANCE SOCIETY PORTRAITS WERE GIVEN A SIGNIFICANT ROLE AND VALUED AS DEPICTIONS OF GREAT SUCCESS AND HIGH SOCIAL STATUS. WHY NOT GIVE YOUR BEST FRIEND THAT SAME IMPORTANCE BY HAVING HIS OR HER PORTRAIT CREATED BY ME? PLEASE CHECK OUT MY GALLERY OF LATEST WORKS AND LET ME MAKE A STAR OUT OF YOUR LITTLE ONE. PLEASE NOTE: THE PURCHASE OF YOUR PAINTING WILL HELP ANIMALS IN NEED AS ALL PROCEEDS FROM PAINTINGS SOLD ARE DONATED TO ZITA'S ARC (ANIMAL RESCUE CENTER). PLEASE VISIT THE ARC PAGES ABOVE AND SEE WHO ELSE IS BENEFITTING FROM YOUR PET PAINTING PURCHASE. LET THE WORLD KNOW HOW MUCH YOU LOVE YOUR PET BY ORDERING A PAINTING OF THEM.